"The Trump Tax Cuts Are Still Bombing"
Are you angry about the Trump tax cuts? Contact your reps and make your voice heard! The Trump tax cuts are still bombing. We're not surprised, but we're mad. Are you angry about the Trump tax cuts? Learn more below from Yahoo Finance, and click above to contact your reps and make your voice heard. The Trump tax cuts, passed in 2017, put fresh money into the economy and juiced growth last year. But if the Trump tax cuts were a consumer product, they’d be Google Glass, New Coke or the Edsel: The branding flopped, the promise failed to materialize, and overeager promoters failed to understand what the market really wanted. And the tax cuts are causing fresh problems for Republicans now that tax returns are filtering in, and many Americans are getting smaller returns than they’re used to. The Tax Cuts and Jobs Act passed Congress, with Republican-only support, in late 2017. When Trump signed it into law, he proclaimed, “It’s going to be a tremendous thing for the American people. It’s going to be fantastic for the economy.” White House economists said it would boost household incomes by $4,000 and GDP growth by at least 3%. But those miracles haven’t happened, and Americans have registered their antipathy for the Trump tax cuts in three distinct waves, so far. The initial reaction was negative. In the first half of 2018—when the tax cuts were in effect and paychecks were, in fact, larger—polls showed a majority of Americans nonetheless opposed the overall tax bill. 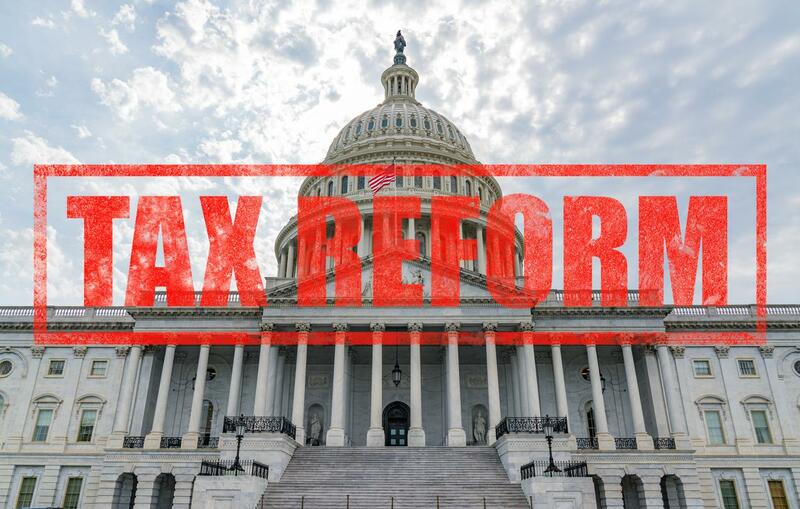 A May 2018 Democracy Fund Voter Study Group survey, for instance, found that 36% of voters favored the tax law, while 47% opposed it. About 17% weren’t sure. The main objection was that it favored businesses and the wealthy over the middle class. That’s not what Republicans expected. The tax law ended up cutting taxes for about two-thirds of all taxpayers, according to the Tax Policy Center. Only 6% got a tax hike, with the rest experiencing no change. Republicans thought cutting taxes for a solid majority of Americans would earn the endless gratitude of voters. It didn’t. By October of last year, only 38% of Americans told Gallup the tax cuts had helped their family. That number is far smaller than the portion of households actually getting a tax cut, suggesting the tax cut was too small to make a difference, or the Republican messaging on the tax cuts was so lousy it made some people think they were worse off than they actually were. Wave 2 of the voter revolt came in last year’s midterm elections, when Democrats running against the tax cuts (and other Trump policies) picked up 40 seats in the House, retaking control from Republicans. Trump confirmed Republican worries about the unpopularity of their tax cuts about three weeks before the 2018 midterms, when he rolled out an unbaked new plan to cut middle-class taxes by 10%—as if Republicans had forgotten about the middle class when they cut taxes 10 months earlier. That was a desperation ploy and a bald acknowledgement that the GOP misjudged the market when they passed the 2017 tax cuts. Wave 3 of the voter revolt is occurring now, as Americans file their taxes and get their returns. Because the tax withholdings changed last year, some Americans got larger paychecks, but are going to get smaller returns this year than they expect. The IRS thinks the number of households receiving a refund will drop by about 2.5 million this year, and for many getting a refund, it will be smaller. Some of those people will end up paying more in overall tax, because of the new cap on certain deductions and other changes. Many will end up with an overall lower tax bill for 2018—but they may have a sour feeling about it, because the gains were front-loaded last year, and taxpayers barely noticed. Many Americans count on a sizable refund to pay down debt or help finance big purchases, and when that doesn’t materialize, they’re likely to blame Washington. Trump said recently he’d consider a redo on one of the big changes from the 2017 law—the new cap of $10,000 on deductions for state and local taxes. That change is especially unpopular among wealthier homeowners, who stand to lose. But Trump is not going to get a redo. Congress is now gridlocked on major issues, with control split between Republicans and Democrats. And Democrats have much bigger changes in mind. There are myriad proposal to raise taxes on the wealthy, ranging from Elizabeth Warren’s wealth tax to a sharp hike in the top income tax rate. Voters are fine with this. A variety of polls shows that upward of 70% of Americans favor higher taxes on the rich. That’s far more than the portion who ever favored the Trump tax cuts. And sooner or later, somebody will come along who knows how to read the market and provide what the people want.